As part of the State of California’s process for revising its building code (and other codes) every three years, the 2016 California Building Code will be published July 1, 2016 and will go into effect on January 1, 2017. This 180 day period is statutorily required between the publication date (July 1, 2016) and the effective date (January 1, 2017) to provide education and training regarding the forthcoming code and to also allow local amendment adoption and filing. 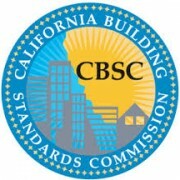 If you are interested in learning more about the 2015 triennial code adoption cycle in California, including the approved standards to be incorporated as part of the 2016 CBC, please go here on the California Building Standards Commission website (bottom of their website’s page). The 2016 California Building Code is based on adopting the 2015 International Building Code, with State of California amendments.